Barbara Csernyik, 83, of Mira Road, passed away Friday, December 1, 2017 in Harbourstone Enhanced Care. She was a member of Immaculate Heart Church, and the CWL. 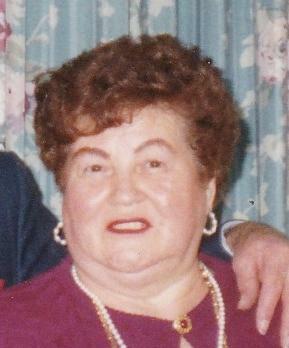 She was a hard working mother, and was famous for her cabbage rolls. She is survived by her sons, Mike Jr., Sydney Forks, Robert (Darlene), Sydney River, Steven, AB and David (Laura), PEI; 13 grandchildren, and one great granddaughter. Born in Hungary, she was predeceased by her parents; her loving husband, Michael Sr.; two brothers, Andrew and Paul Agoston, and a daughter-in-law, Darlene Csernyik. There will be a private family service and interment at Resurrection Cemetery. Thank you to the staff at Harbourstone (Spanish Bay) for the special care over the years. Words of comfort can be sent to the family at www.sydneymemorialchapel@ns.sympatico.ca or e-mail sydneymemorialchapel@ns.sympatico.ca.